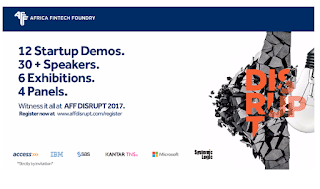 The Africa Fintech Foundry supported by Access Bank, Microsoft, IBM, Kantar TNS, SAS and SystemicLogic will host the first edition of its fintech conference – AFF DISRUPT 2017, on December 14, 2017. The AFF is a growth stage accelerator whose primary focus is finding, nurturing and accelerating the growth of Financial Technology (FinTech) startups in Africa.. According to Disrupt Africa’s 2017 Finnovating for Africa: Exploring the African Fintech Ecosystem Report, there are 301 fintech startups currently live across the continent. In the last 2 years, there has been a consistent rise in the number of startups in the FinTech space. AFF DISRUPT 2017 is scheduled to hold at the Eko Convention Centre, Adetokunbo Ademola Street, Eti-Osa, Lagos, Nigeria. 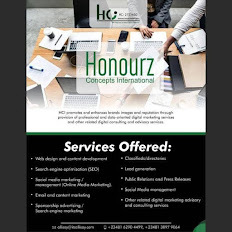 It will will bring together the best startups building products and solutions in the Financial Technology (FinTech) space, alongside investors, financial and technology partners, and a global audience of delegates from disparate industries to showcase next generation technologies and innovative solutions relevant to the financial services industry. Sessions on the day include a keynote address, fireside chats, masterclasses, partner exhibitions and panel discussions. At a recent press conference held in Lagos, the organizers of the foundry announced the opening of the application portal ahead of AFF DISRUPT 2017 on December 14th. Startups have until December 1st, to apply to get the chance to demo or participate at the event. “This is a very good opportunity for startups to take advantage of the partner network created by AFF Disrupt and its partners to create linkages and networks that can help grow their businesses,” says Adeleke Adekoya, Event Coordinator, for AFF DISRUPT 2017. The vetting process is currently going on, and a total number of 12 startups would be selected from a pool of about 400 startups, to demo/exhibit at the AFF Disrupt 2017 conference. The selected startups will also get a chance to be part of the Africa FinTech Foundry’s 3-month accelerator program. Interested participants can register on the AFF DISRUPT 2017 website to attend, as the event is strictly by invitation.